world had ever seen. 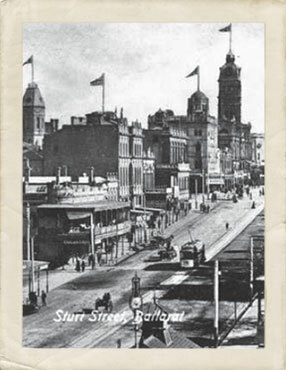 Within a few short years population had reached more than 40,000 people and the tent town of Ballarat quickly gave way to a grand Victorian city of timber, brick and bluestone. rush diggers, to the birth of a prominent, wealthy city. Explore Ballarat's grand Victorian streetscapes of opulent ''Boomtown'' architecture and become captivated by the history behind the facades. True tales of rebellion, tragedy and triumph, fortunes won and lost, along with the city's highest achievers and world famous visitors. Here is your chance to discover the city built by gold. 2013 - 2019 © Ballarat Heritage Tours | www.BallaratHeritageTours.com.au - All Rights Reserved | UBC Web Design.